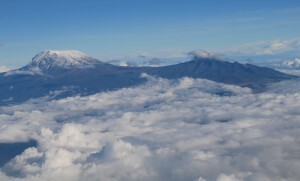 This coming August Ultramagic has organized a trip to Tanzania mainly to over fly Kilimanjaro. We will be going with 7 balloons with 2 pilots each, from different parts of the world and we will also be accompanied by a number of friends. We have thought to share this trip with a blog called Ultramagic Experience and we hope it will be interesting for you to follow the journey. There will be a live track throughout the trip to know the location where we are at that particular moment and also another track of the flights that you will be able to look at with Google earth in 3D. It is the first time, as far as we know, that this has been done in an area of such difficult communications, as all needs to be done via satellite and through a complex system of GPS and there will be a number of different companies involved. Text will be mostly written in English, but you can also use Spanish, Catalan, German, French or any other language. I hope you agree with that. We will try to keep the blog updated at least once a week before the trip and daily during the main part of the travel.